WASHINGTON, DC.- Photojournalist Alfred Wertheimer was hired by RCA Victor in 1956 to shoot promotional images of a recently signed 21-year-old recording artist, Elvis Presley. 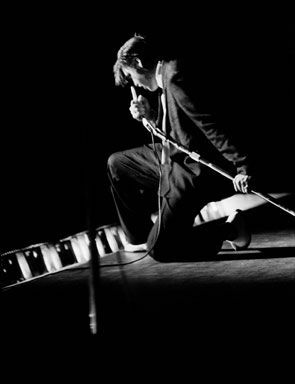 Wertheimer’s instincts to “tag along” with the artist after the assignment and the resulting images provide us today with a look at Elvis before he exploded onto the scene and became one of the most exciting performers of his time. “Elvis at 21: Photographs by Alfred Wertheimer,” a new Smithsonian traveling exhibition, presents 56 of these striking images and will debut at The Grammy Museum in Los Angeles Jan. 8, 2009, Elvis’s 75th birthday. Wertheimer was up close to capture a flirtatious encounter with a young woman backstage in Richmond, Va. He was in the New York City recording studio on the historic day Elvis recorded “Don’t Be Cruel” and “Hound Dog.” Both songs hit No. 1 on the charts, the first and only time a single record would achieve this distinction. 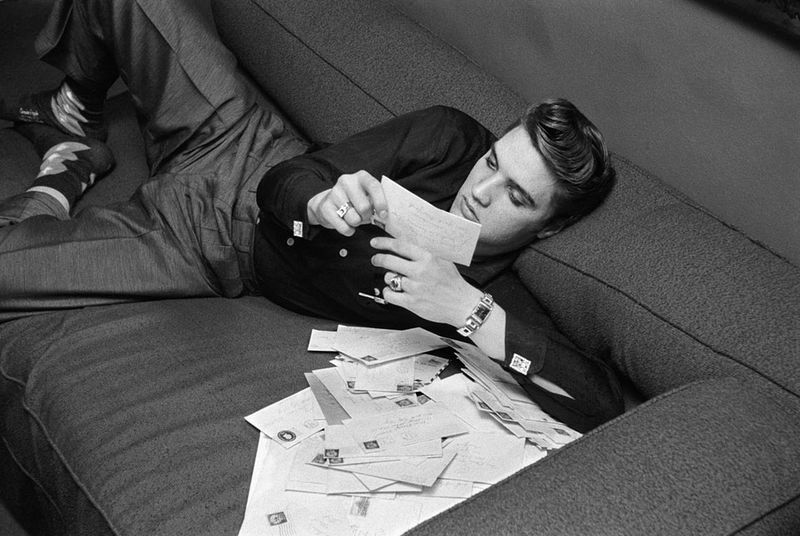 Once inside his suite at the Warwick Hotel, Elvis found an envelope containing dozens of fan letters that were sent to him which he proceeded to read. New York City. March, 17, 1956. ©Alfred Wertheimer. All rights reserved.